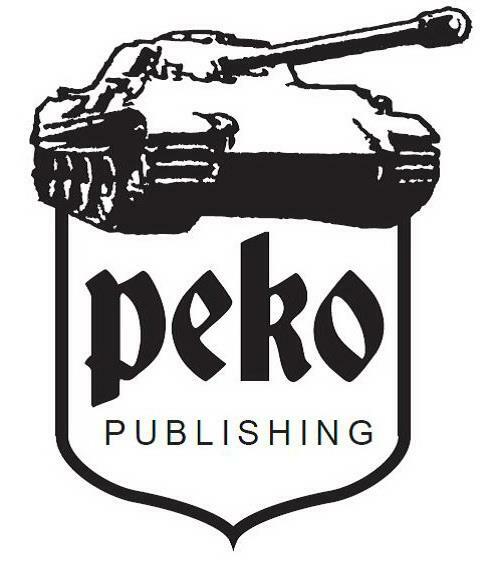 The ninth volume of PeKo Publishing s photo-monograph series, SU-85 & SU-100 on the Battlefield - World War Two Photobook Series, focusses on a lesser known but just as important tank as any KV-85 or T-34. This book features the Soviet Su-85, 85M and Su-100 series of tank destroyer. These were very prevalent on the battlefield and although outshone by some of it’s brethren, no less important to the winners of the “Great Patriotic War” in the east. In fact apart from occasionally seeing these tanks on model shows and a bit of world of tanks “non-penetration” I had not much idea about these vehicles before now. Also to be honest I was not thinking that this subject would be appealing to me. However – having read all of the other books in this pictorial series I placed my faith in Peko to produce and interesting book. Let’s see what it’s made up of and look into what’s in the book. First the physical attributes. This series of books feature a hardcover landscape format and this book comes in at 108 pages. These pages are a thick gauge and the cover is quite stiff and strong. All of the photos are in black and white and I am sure that most of them are not before published. This is always great to see new shots of a vehicle this old not before seen. 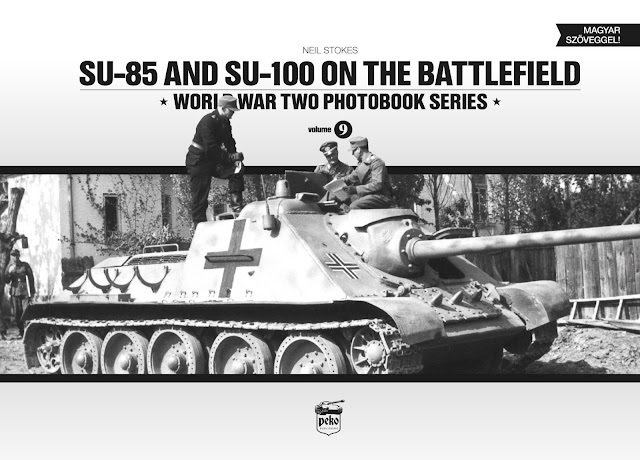 “SU-85 & SU-100 on the Battlefield - World War Two Photobook Series” starts with a brief introduction in both Hungarian and then in English. It is block text of about three pages in each language and the intro describes pretty much the idea behind these tanks and their design and construction and which factories built them. The text itself totals much more than I had ever read on the subject but it’s never exhausting to read like some books that focus on one type can be. The book then progresses onto the format for 98% of the rest of the book. The text is in a dual language format – with Hungarian (the publisher’s language) and English, both on the same page in a large caption or two to each image. Each of the large format picture-to-a-page features information about when and maybe where this particular vehicle was captured in the photo, who is using it if possible and the particulars which identify this variant. Each of the pages does this in a fairly particularly repetitive way. The trick to this is that the author, Neil Stokes – knows a lot about his subject and this way of showing you again and again the particulars of each of these tanks. I had no real idea before I read this about how to tell the Su-85, 85m and 100’s apart. Through seeing this again and again (just like earlier books in this series do – you soon become a bit of an armchair expert on what you are looking at and I can now tell the difference at a glance from the smaller and larger details on each of the family. Something I had no idea of before. The pictures were in focus, and many are of course captured versions of the Su family. What we do see here are a lot of Russian vehicles. That is great because often you only see burnt or wrecked vehicles from German film stock. As for the subjects – well like I have already said we follow the production of the Su-85, through to the 85M model – originally with the smaller gun and then the up-gunned Su 100. Each are shown in turn so you can better learn the particulars of each in a chronological fashion. Again the nature of explaining just what type, where, who is using it and quite often how the vehicle met it’s end add not only interest but real learning to each page. Several of these pages feature a series of pictures in the once scene featuring the one or a unit’s vehicles. This gives us yet more scope to investigate the particulars of the tank and the situation. Often you can glean information about whether the tankers were in a war zone by their body language and what stowage or equipment and condition the vehicle appears in. For a tank that I had no real prior knowledge of to an AFV that I now am actually quite interested in. This book’s text is well written and it is presented in an interesting and engaging manner. The pictures are great and fresh to my eyes, the presentation of the book follows onto the rest of the series which is a great thing. Another great addition to the family that has enlightened me in a very positive way. I really liked this book. 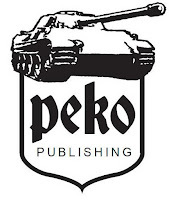 Thanks to Peko Publishing for sending this to me to read - The SU-85 and SU-100 on the battlefield book is available now for 25 Euro. Shipping: FREE (European Union and USA, Canada.) This and the others in this series are available through the Peko Publishing website.